The Skullcandy in-ear JIB ear buds provide direct to ear acoustics and a frequency range normally found only in full sized stereo headphones. The Skullcandy in-ear JIB ear buds also isolate any external noise for your listening pleasure. The silicone ear cushions are very cosy and comfortable even during extended listening sessions. The Skullcandy in-ear JIB ear buds provide direct to ear acoustics and a frequency range normally found only in full sized stereo headphones. 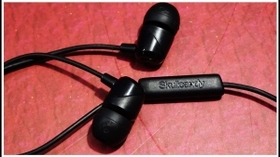 The Skullcandy in-ear JIB ear buds also isolate any external noise for your listening pleasure. The silicone ear cushions are very cossy and comfortable even during extended listening sessions. 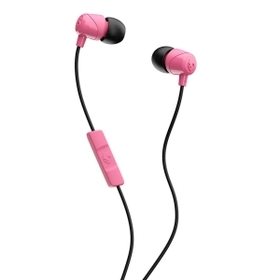 This earphone is compatible with any multimedia device with a 3.5 mm audio port, be it your mobile, MP3 player, computer, tablet, laptop or more. Enjoy stereo sound and enhanced bass with the 10-mm drivers for that crisp sound and clear bass. Corsair ValueSelect DDR4L SODIMM memory modules are designed to exceed industry standards to guarantee maximum compatibility with virtually all Intel 6th to 8th generation PCs.